S4A Smart LOAD application is the world’s leading exception-based, visual load planning system, providing the best aircraft weight and balance solution in the industry. Click to see our free Smart LOAD webinar! Case Study was published on AircraftIT magazine in September 2016. "The most popular feature of the system has been peer-to-peer messaging. It works much like text messaging and supports quick communication between workgroups. The real benefit is that the user doesn’t need to know who in particular is working a flight in order to send a message. Messages can be addressed to various roles that are assigned to a specific flight. This feature has increased the speed and accuracy of communication, while also reducing the number of phone calls between workgroups." 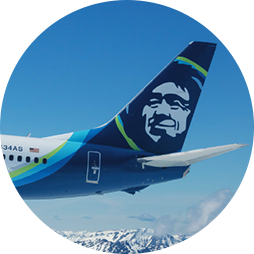 "Automation has brought fundamental productivity improvements to the Weight & Balance process at Alaska Airlines and Horizon Air. The previous manual system supported 16-18 flights per load agent per shift. S4A Smart LOAD supports 60-80, of which 70-90% are generated without requiring human intervention. Automation utilized for planned bags has also improved accuracy, with human intuition replaced by comprehensive algorithms based on historical data. The system has also proven to be scalable and robust to meet a growing flight schedule with over twice the number of flights supported since inception." The system fully automates and optimizes the load planning activity, engaging agents only when loading irregularities occur or contradictory economic decisions are to be made. This unprecedented level of automation allows for significant productivity gains. S4A Smart LOAD’s advanced algorithms can also return significant fuel savings through improved center of gravity calculations. Fully integrated with all key airline systems involved in the loading process, S4A Smart LOAD supports, automates and monitors the entire airline weight and balance and loading process, start to finish. 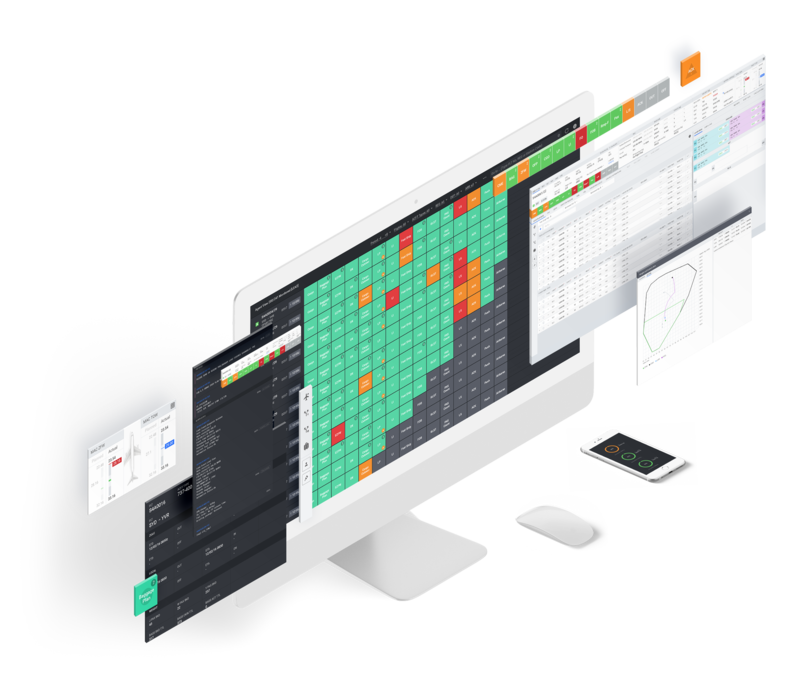 Suitable for airlines of all sizes, S4A Smart LOAD is an extremely powerful yet simple to use solution, supporting both centralized and de-centralized airline load control models. The system perfectly combines the needs of airport ground operations departments and handling companies working in a multi-customer environment and with multi-role capability, including dispatch, load agent, freight, ramp agent, cockpit, engineer, etc. Through the union of the S4A Smart LOAD and S4A Smart COMM applications, loading restrictions, irregularity handling, and direct communication are no longer challenges for any Airline. S4A Smart LOAD provides Automated Load Process functionality, which allows automation of the entire load process – from booked passenger and cargo data through to aircraft take-off. The system automatically computes and verifies all weight and balance regulations and airline business rules concerning cargo compatibility, baggage segregation, dangerous goods and MEL items handling. The use of Load Preference tables enable administrators to configure the preferred position of specific types of baggage and/or cargo. This automated approach allows load control departments to focus on the loading exceptions only, significantly increasing productivity and consistency. In the event it is impossible to load all manifested cargo, the system considers pre-defined priorities for specific commodity codes and bumps cargo based on the airline priorities and configured bumping rules. During the entire load process, the system checks if the center of gravity is within limits. Moreover, during the automated process the system includes the optimum center of gravity location provided by the AHM Configuration. Therefore the system is capable to optimize your fuel economy per aircraft/fleet up to 3% of overall fuel burn savings. S4A Smart LOAD also displays a fuel vector indicating how the center of gravity changes at the time when fuel is burnt. specific commodity codes and bumps cargo based on the airline configured bumping rules. S4A Smart LOAD can be accessed from any web browser.